Lauren Shelton — Valerio Dewalt Train Associates, Inc.
As an Associate at Valerio Dewalt Train, Lauren values a disciplined approach to her work. 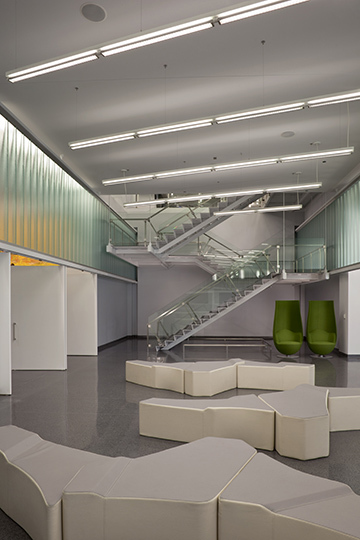 With an emphasis on sustainable design practices and experience in high-rise, residential, and institutional projects, she managed the California Polytechnic State University, San Luis Obispo Student Housing South project, the Industry Apartment building in Denver, and the Leroy Neiman Student Center at the School of the Art Institute of Chicago. She is an active member of the AIA Michigan Mentoring Network and has spearheaded VDT’s contribution to the AIA 2030 Challenge. She’s a fan of sunshine, spreadsheets, reading every Pulitzer Prize Award winner for fiction, and volunteering as a worship leader at Park Community Church.